Honey is a natural sweetener which we are using since long. It enhances the taste of the food, improves the skin has so many benefits for the health and last but not the least make your hair look beautiful. All these benefits are explained in detail in this article. So go read the article till last for the unknown benefits. 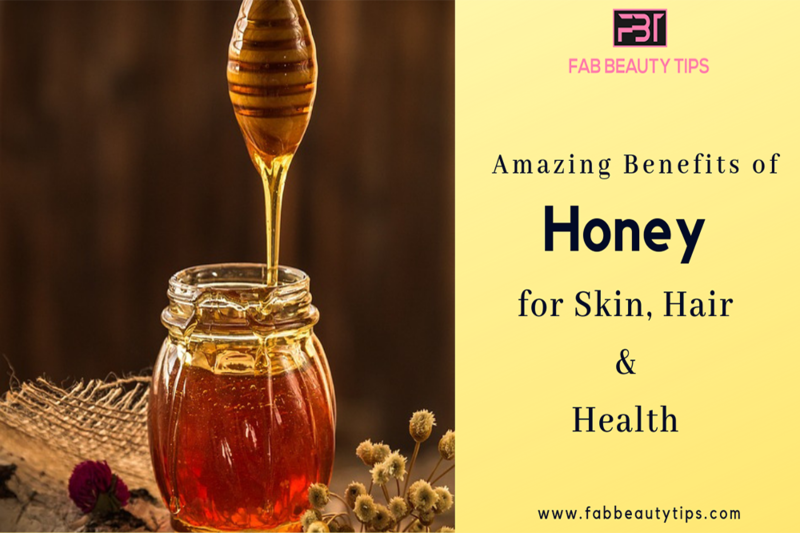 Take honey and apply it on a clean and dry skin. Keep it on your face for 15 to 20 minutes. Use this every day or you can also use this on every alternative day. Honey moisturizes the skin so well as it has highly moisturizing properties. Its good for the dry skin people. Mix honey and coconut oil and apply it on a clean and dry skin. Massage it in circulation motion gently for 5 minutes. Use this twice or thrice a week. Honey cleanses the skin from within and helps in tighten the pores. Mix honey and baking soda in a bowl. Splash some water on your skin and apply this concoction on your face or body. Start gently scrubbing your skin in circular motion. Do this for 2-3 minutes and wash your face with cool water. Honey is best for the sensitive skin typed people as it is very gentle when comes to exfoliating the skin. Mix honey, lemon and coconut oil. Apply this mixture on a clean and dry face. Keep it for 15 minutes and then wash it off with cold water. If you feel any irritation wash your face immediately. Honey contains antioxidants which helps in lightening the scars. Mix honey and gel together. Apply this solution to the burnt skin due to the sun exposure. Leave it for 20 minutes and then wash it off with cool water. Do this every day until the burn had been healed. Honey heals the burnt skin well as it contains antioxidants and anti-inflammatory properties. Apply raw honey to the pimples and acne. Keep it on your skin for 20 minutes. Rinse your face with plain water. Do this process every day until the pimple or acne gone from the skin. Honey is anti-bacterial in nature which helps in fighting against the acne and pimple. Mix honey and vitamin E capsule on palm or in a bowl. Apply this mask on the face for 20 to 30 minutes. Apply this on every alternative day. It will take some time to show the results. Being rich in antioxidants it helps in reversing the aging symptoms. Mix milk in the honey. Make a runny paste like consistency. Apply this mixture on your face for 5-10 minutes. Wash it off with tap water. Do this twice to thrice a week for a natural glow. Honey is the best and effective way to get a natural glow within the skin. It repairs the damage skin which gives glow. Mix honey and curd in a bowl. Take some amount from the mixture and apply on your face. Massage it for 5 minutes and apply one more layer of this paste on your face. Keep it for 15 minutes. Use this remedy on every alternative day. Wrinkles and fine lines are a result of lacking of moisture. Honey moisturize the skin and reduce wrinkles and fine lines. Mix honey with the tomato juice. Apply this paste on your face and massage it for some time. Keep it on for skin for 15 minutes and then wash it off with cold water. Moisturized skin always bright. It brightens the skin from the deep and provide the necessary minerals. Apply some raw honey on your dry and chapped lips. Leave it for overnight if you want better results. It moisturise the lips and treat chapped lips as it provides moisture to them. Warm some olive oil and add honey in it. Apply this on your scalp and hair. The antioxidants of honey helps to promote the hair growth. Mix honey and water in the above mentioned ratio. Apply this concoction on your scalp and hair. Massage for a while and leave it for 3 hours. Honey moisturize the scalp which results in less dandruff. Mix the water and honey and apply this on your hair. Massage for few minutes and rinse your hair with lukewarm water. It deep cleanses the scalp and helps to retain the moisture. Mix honey and lemon in warm water. Drink this water 2 times a day to relief the cough and cold. Honey was found to be effective for treating the cough and cold. Add honey in water and drink it whenever you feel like your blood pressure is high. Make fresh honey water every day. Study shows that honey has effective solution for high blood pressure. Apply honey to any burn and wound immediately. Cover the wound with a clean cotton cloth. Wash it off when the pain is reduced. Anti- bacterial and anti- inflammatory makes honey the best first aid for burns and wounds. Lightly burn a garlic and pour honey on it. Eat this on an empty stomach every day. The antioxidants in honey protects the heart. It also reduces the plaques that narrow arteries and causes heart attack. Take a piece of clove and pour some honey on it. Place the honey coated clove on the tooth and leave it for 15 minutes. As per study honey can cure toothache but there is not much research is done on this. Add lemon juice in the honey and eat it. Do this every day on an empty stomach. The phenolic properties are found in honey have anti cancer properties which helps the cancer patients. Add honey to the warm water and drink it. Drink this solution after having your meal. Have it only two times a day. Honey has antioxidants which can fight against the free radicals and relieve acid reflux. Add raw honey in your diet. You can add honey to your shakes and smoothies. A study found that intake of honey for a period of 8 weeks or longer can improve allergy symptoms. Eat raw honey on an empty stomach. Do this every day to get rid of infections. Being rich in anti- bacterial properties honey is proven to fight against the infections effectively. Take a glass of cold water and lemon and honey in it. Drink this liquid whenever you think your energy levels are low. This will instantly boost the energy. Pure honey contains small amounts of enzymes, which boost the energy of a person. Add honey in warm water. Drink it in the morning before eating anything. Healthy compounds found in honey boost the immunity in body. These are some benefits which are beneficial for the people on a regular basis. Keep this benefits in mind and help a person who need it the most.. Do leave your comment below and let me know how this article helped you and do share it with your friends too. Wow never knew honey is so miracle.. I will try all these soon. Honey has become a part of my skincare routine and how! Amazed that this humble little product can do so much good! Your page has become a bible when it comes to DIY or beauty tips. Great job dear. Even I had no idea that honey has so many benefits. Truly valuable info. on Honey.Didn’t know honey can b used for these number of skin and hair treatments.Thanks for sharing this with us. I have always believed in the goodness of honey but didn’t know it is helpful for so many reasons. You have really worked hard to create this post and help others. Honey is a best ingredient in skin and hair care products. I do add honey in my DIY hair masks and face masks. Very nice post. 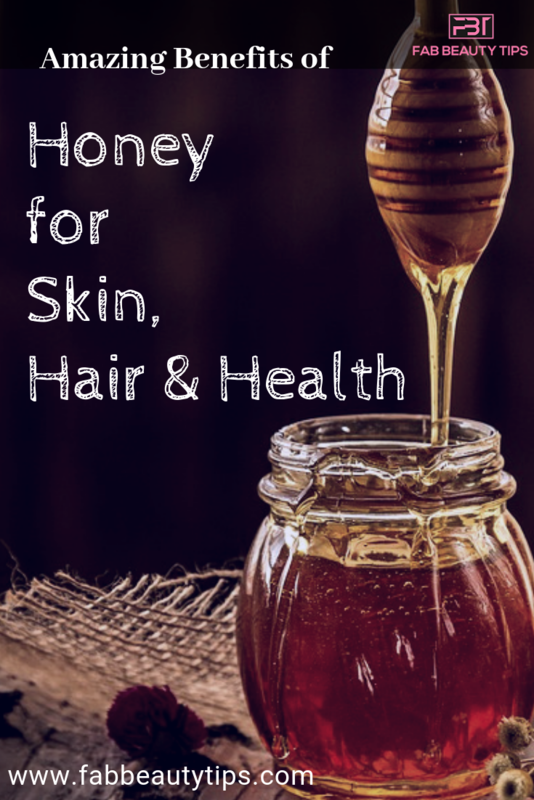 Honey has been my favourite ingredient for good skin and hair. I have been using this since 10 years. Great post! Thanks for sharing these awesome remedies with the girls as beauty is the concern for all the girls. I would like to share this post with my friends too. Keep posting such helpful articles.